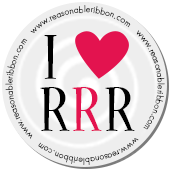 Really Reasonable Ribbon Blog: I'm so Lucky! Hi friends. I'm still playing with my fabulous February 'Gorgeously Green' Ribbon Club Assortment from Really Reasonable Ribbon. Today I'm sharing a fun St. Paddy's Day themed card. The sentiment on this card could easily be changed to make a birthday card, thank you card, or whatever you need. The beautiful dies used on this card are from Cheery Lynn Designs. For my bow on this card I used a 3/8" ribbon instead of my usual 5/8" width. Because I still wanted a substantial size bow, I did two loops on each side for each color. The bow was created on my Bow-it-All V2.0. For a tutorial on how to create this bi-color bow, please click HERE. All the ribbons on my card came from the February Ribbon Club Assortment. This great assortment contains 9 styles and a total of 18 yards of ribbon. JOIN TODAY and you can pick up our special deal this month where you can start with the January and February assortments for a special low price. Thanks so much for stopping by today. For more information on the other products used on this card, please visit my Make Time to Craft Blog.